The reigning European champions from Portugal got a cold start in the European Championship qualification and could only achieve a draw in the first two games. After the first international break in 2019, club football is back in the spotlight and in Portugal fans can expect a very exciting title fight. Eight games to go, Benfica and FC Porto are on equal footing. The Red Eagles from Lisbon are at the top thanks to the clear goal difference (eleven goals lead). While Benfica Lisbon have an extremely achievable task this weekend with the home game against Tondela (16th), FC Porto are called for. In the top game of the 27th match day, there will be a duel between Braga and FC Porto! The home side from Braga play a tough season and are just five points behind the leading duo in third place. Low hopes for the surprising title win are therefore quite justified. A defeat in the top match against the reigning champion but would let this spark probably go out. However, the guests from Porto will have to play for victory. Point losses represent an exception among the top teams in Portugal, and accordingly, such could mean a small preliminary decision. Two strong teams, who play a very good season and have to play for victory, meet each other. Perfect conditions for a football festival. Only two times missed the SC Braga since the 2009/10 season (runner-up) a top four place in the Portuguese Liga NOS. The club from the city in northern Portugal (just under 182,000 inhabitants) can now confidently be called the fourth power in national football. The financial resources are significantly lower than the well-known competitors from Lisbon or Porto. Nevertheless, the team of head coach Abel Ferreira can convince again and again. 58 points after 26 league games are proof of a very strong season. After Braga fell in the second half of February in a small hole (two to-zero defeats in the league and the clear 0-3 defeat in the semi-final first leg of the Taca de Portugal), showed the shape curve last again clearly upwards. The last three league games before the international break Braga could win all. While at Porto or Benfica Lisbon many goals are guaranteed again and again, the SC Braga is significantly more result oriented. “Only” 44 goals scored Braga in the 26 games so far. In comparison, Benfica Lisbon already has 72 goals on the account. Only eleven of Braga’s 26 league games ended in over 2.5 this season. In the 13 previous home games Braga had to accept only eight goals; As a result, there were also just five games over 2.5. For at least three goals between Braga and Porto, odds of over 2.20 are offered. Odds of just under 4.00 for the home win in view of the previous home record also very interesting. The club from the north of Portugal has collected no less than 34 out of 39 possible points at home this season. The only defeat suffered Braga against Belenenses, also drew the table third against Rio Ave. The remaining eleven home games were won. The hosts have in the big game against the reigning champions large personnel worries that have to be overcome. The retirement of goalkeeper Matheus is no news, he finally misses since the beginning of the season. But the lack of defensive boss Raul Silva is a bitter weakening. The Brazilian is hard to replace and would be against the brawny offensive of Porto – with Marega and Tiquinho Soares – enormously important. Ex-player Sergio Conceicao has brought the success back. After four years without a championship FC Porto returned to the throne in the past season and secured for the 28th time winning the title in Portuguese football. The dominance of Benfica Lisbon was broken thanks to a superb 28-4-2 record. Also in this season, the Conceicao-Elf presents extremely sovereign and celebrated so far 20 wins in 26 league games. In addition to the strong performance at national level (the finals in the Taca de Portugal is within reach) Porto knew how to convince internationally. The Portuguese underdog is in the quarter-finals of the UEFA Champions League and in mid-April will face last year’s finalists from Liverpool. The double burden is certainly not an advantage with regard to the successful title defense in the league. Porto will not be able to afford to slow down in the league. Compared to the red eagles from Lisbon Porto has by far the strongest defense in the league. Goalkeeper legend Iker Casillas has lost only 15 goals in 26 games this season. The 37-year-old has been able to keep his chest clean no less than 15 times. While the defensive achievements are outstanding both at home and abroad, the offensive feels much better at home in Estadio do Dragao. 32 goals were scored at home in 13 games, in the stranger Porto could only cheer 21 times. One reason for the much lower number of goals scored in comparison to Benfica Lisbon is certainly the protracted injury of top striker Vincent Aboubakar. The Cameroonian tore the cruciate ligament early in the season and will not play a role this season. However, the 27-year-old Cameroonian is the only notable failure that Conceicao has to complain about. Two of their three previous defeats this season have put Porto in the game against their rivals Benfica. Otherwise, only Vitoria Guimaraes had to go bankrupt. In the games, in which Porto is generally considered a clear favorite, the Conceicao-elf is rarely naked. Sporting Braga is considered a serious competitor, but compared to Porto, a quality difference is undeniable. Nevertheless, in the top match of the 27th matchday between Braga and FC Porto odds for the tip on the away win appear a little low. The most significant duel between these two teams was undoubtedly the Europa League final in the 2010/11 season. Porto crowned the title with a Radamel Falcao goal at Dublin’s Aviva Stadium. Although Braga can be described for many years as the fourth power behind the two Lisbon city clubs and FC Porto, successes against the reigning champions are a rarity. Only 14 of 120 competitive games won Braga. The last victory in the league celebrated the underdog in the 2015/16 season. In the current season, FC Porto prevailed in the first leg (1-0) as well as in the semi-finals of the Taca de Portugal (3: 0) without conceding! Benfica Lisbon could be the laughing third in the Portuguese Liga NOS this weekend. Betting odds of just under 4.00 on the home win are quite attractive at 34 of 39 possible “Heimpunkte” at Braga. However, Porto certainly has more quality in its own ranks and can rightly be traded as a favorite. ↪ Braga has scored 34 points out of 39 in 13 previous home matches! 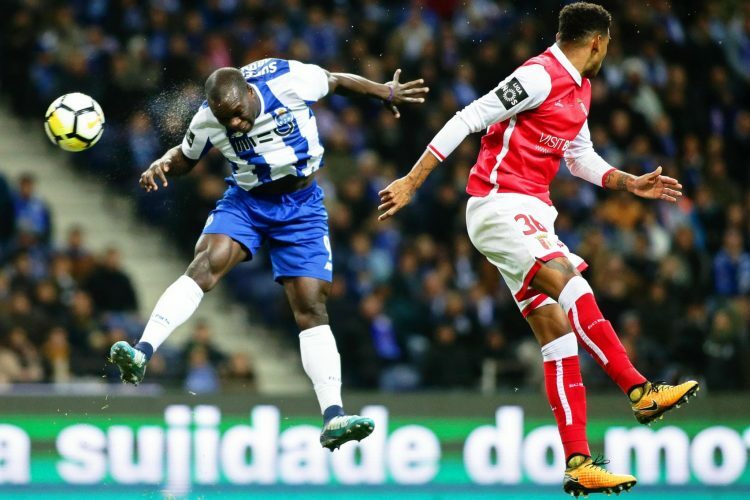 ↪ Porto have both zeroed in the previous two games this season – but both games at Estadio do Dragao! ↪ In 15 of 26 league games, Iker Casillas kept his box clean! The statistics point to a under 2.5 in this top game. Braga gets very few goals at home and Porto have the best defense in the league with only 15 goals, but here is the recommended tip of over 2.5 between Braga and Porto! 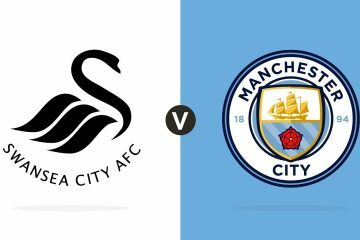 The odds are extremely attractive with a 2.20 and eventually both teams will have to play for victory – a draw is too little for both teams in the fight for the dream of the championship. Accordingly, with a moderate bet of four units between Braga and Porto, the bet on the over 2.5 is made!